All fees must be paid in advance in our competition registration portal. Entry fees are non-refundable. Early bird entry fees end on August 31. Spots in the Showcase divisions are limited and will be given out on a first come, first served basis. Your spot will only be reserved once payment has been received. There is no limit to the number of couples in the heated divisions. Sept 21 update: Amateur Showcase divisions are now full. Pro-Am Female Bachata and Pro-Am Female Salsa divisions are now full. To purchase weekend event pass or competitor event pass, click below. If you do not have a credit card, please contact Jennifer at 416-656-7837 to make payment arrangements. 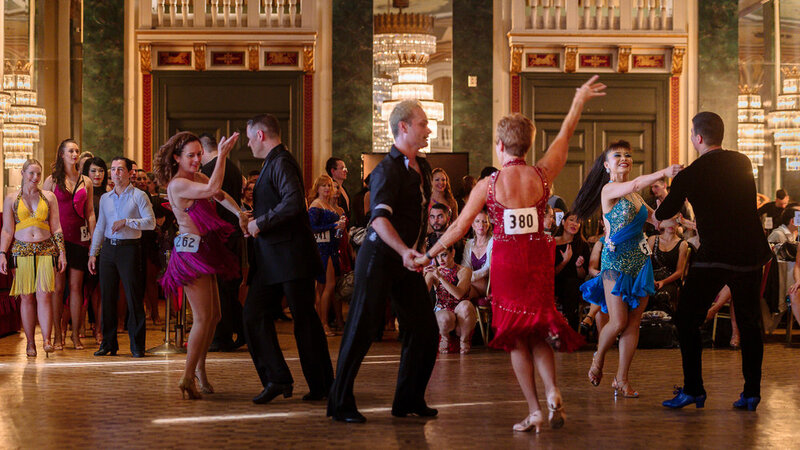 A Showcase division means that the couples choreograph their own routine to their choice of music. A Heated division means that several couples are dancing on the dance floor at once to music selected by the DJ. This is social dancing - choreography not necessary. The competition is open to all local, national and international dancers. The Pro-Am competition will be divided into male and female categories and most categories for Pro-Am and Am-Am will be divided by level - Newcomer, Novice, Pre-Intermediate, Intermediate and Advanced. Competitors may enter their own level plus one level above. Team divisions are open to all levels or combinations of levels. Team can be made up of amateurs, semi-pro or professional dancers or a combination of 2 or 3 levels. Same Gender Team Shines Showcase division is open to all levels or combinations of levels. Team can be made up of amateurs, semi-pro or professional dancers or a combination of 2 or 3 levels. Same Gender Couple Showcase division is open to all levels or combinations of levels, including amateurs, semi-pro, professional or pro-am. Shines or partner work or a combination of both can be performed. Junior Team Showcase and Junior Solo Showcase divisions are open to anyone 16 years of age and younger. A limited number of schools or teams will be able to reserve a table on Friday (daytime) to watch and cheer on their fellow competitors. There will also be general admission seating. Over 40 & Over 50 Divisions: In Pro-Am, the amateur must be at least 40 years of age (or at least 50 years of age). In Am-Am, BOTH dancers must be at least 40 years of age (or at least 50 years of age). The Canada Salsa & Bachata Congress will be capping all showcase division entries as we meet our maximum number of entries based on the time allotted each day for showcases (Thurs afternoon, Thurs night, Friday). The Canada Salsa & Bachata Congress reserves the right to combine or cancel divisions based on registration. Minimum of 3 couples per division. If a division is canceled, entry fees will be refunded. The Canada Salsa & Bachata Congress reserves the right to limit the number of dancers that can enter a division based on time limitations. Prizes, trophies and medals will be awarded to the 1st, 2nd & 3rd place winners in all showcase divisions. Cash and prizes will be awarded to the winners in the Professional Showcase and Professional Heated divisions. Value of cash prizes will be posted in August. Medals will be awarded to all 1st, 2nd & 3rd place winners in the heated divisions. Some of our amazing prizes include free cabins (+ some discounted cabins) on the Aventura Dance Cruise, All inclusive Trip for 2 to Cuba, flights to Miami, free weekend passes to the World Salsa Summit, the IHSC, the Montreal Salsa Convention, free dance shoes + discount coupons & certificates for costumes, dance shoes, events, conventions, nightclubs and more!! The top scoring Canadian couple will win the title of "Canadian Salsa Champions" (Professional Division). 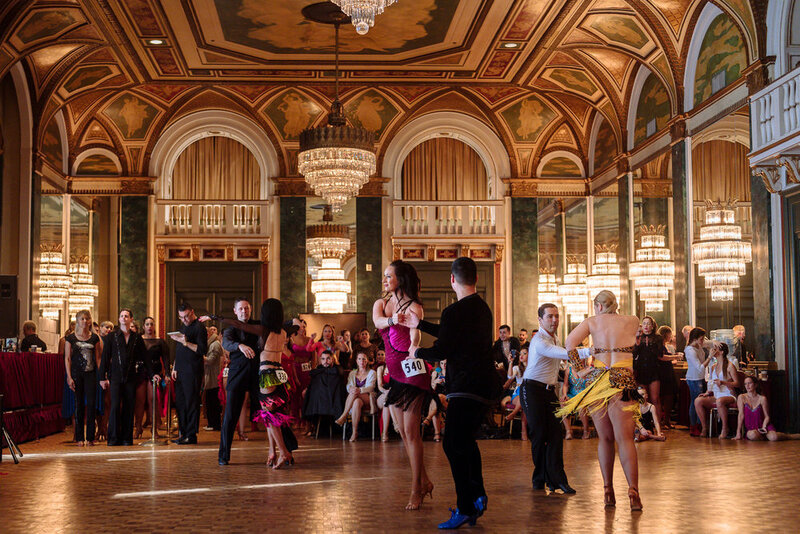 1st Place Winners will represent the Canada Salsa & Bachata Congress at the Global Salsa Championships held at the World Salsa Summit in Miami, January 2019. The top scoring Canadian couple will win the title of "Canadian Bachata Champions" (Professional Division). The top scoring Canadian couple will win the title of "Canadian Salsa Champions" (Amateur Division). The top scoring Canadian couple will win the title of "Canadian Bachata Champions" (Amateur Division).